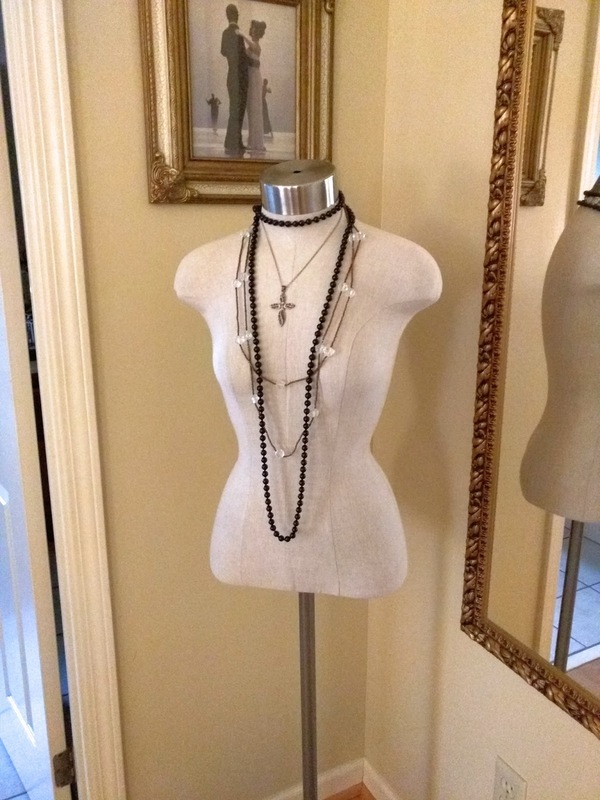 What a fun way to keep up with necklaces. I kept "Manni" in a corner in my bedroom until it was time for Santa to put him by the tree. I had the perfect empty spot for him. I'm missing him now that he's gone. Once my daughter gets him set up in his new corner at her place, I'll show you how he turns out. She has more than three necklaces, so I'm sure he'll look even better in his next appearance.